XXLofoten offers team building events with a difference all year. Try sea fishing safaris and fine local food, mountain hikes or traditional crafts. 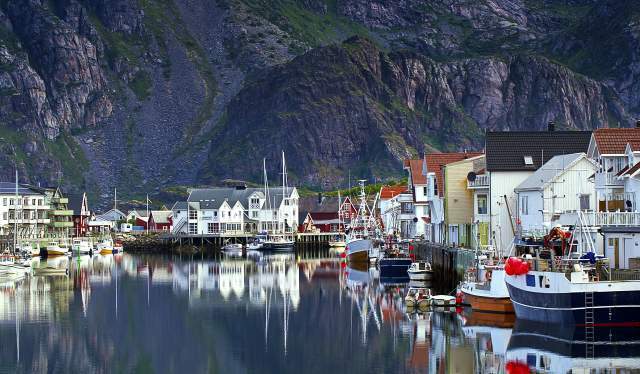 Lonely Planet has named the Lofoten Islands the most beautiful group of islands in the world. When you see the view from one of the mountain peaks, you will understand why - you really are on top of the world! XXLofoten knows the mountains and their secrets well. This excursion is ideal for those who want to indulge in the unsurpassed natural beauty of the Lofoten mountains and who agree that a sweaty back followed by a strong cup of coffee around the campfire constitute great rewards. A number of guides are available so the group can be split if required. Those who do not want to go to the top can take part in preparing a wilderness lunch which is cooked over an open fire. Lofoten Challenge is a fun and challenging activity that puts the participants’ competitive instincts, speed, power and problem solving skills to the test. Everyone will contribute which makes it a great teambuilding event. 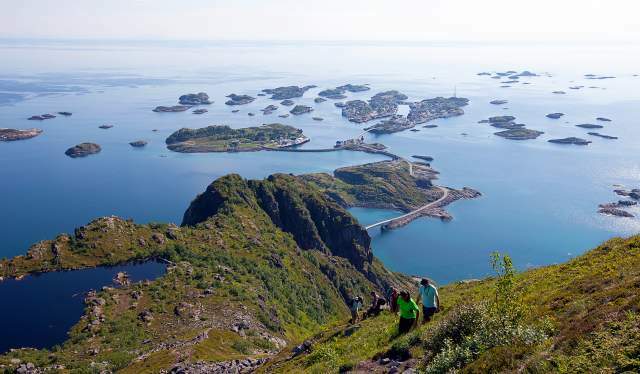 If you are looking for an activity that is both physically and intellectually challenging and that depends on the collective skills of the group, Lofoten Challenge is what you are looking for. The event will be adapted according to your needs and preferences. With the help of GPS, a map and a compass, the goal of the group is to locate a number of places where activities need to be carried out or tasks solved. The activity takes place by the coast and may involve a number of exciting adventures, from exploring a deserted island or finding a shipwreck to locating an old cave. Some of the posts are staffed, at others you will be left to your own devices. Explore the wildlife of the Lofoten Islands by boat. The sturdy, safe RIB boats can cover long distances at great speed, or go gently through islets and skerries. An experienced guide will drive the boat through historic places rich with exciting stories. There is an option of stopping at the Skrova Island, with 200 inhabitants, where you can try freshly prepared whale beef and locally produced salmon. Robinson is one of XXLofoten's sea kayking concepts. Feel the power of nature in the unique archipelago around Lofoten, where seals and sea eagles are a common sight. Sea kayaking is a great way to immerse yourself in nature and discover the secret places that can only be reached by kayak. The trip includes a stop on a deserted island where lunch is prepared over an open fire. The goal is to give the whole group an optimal day in a strikingly beautiful landscape. Training is provided and no previous experience is needed. These are just a few examples of incentive activities you can choose from in and around Lofoten. You will find more suggestions on XXLofoten&apos;s website. Tare Mare is an activity for those who would like to experience an unusual fishing- and seafood excursion. The day starts onboard the fishing boat MS Symra, which takes you out to sea where you will fish with jigging reels, fishing tackle and longlines, depending on the season. The excursion takes a couple of hours and includes training of how to use the equipment. On your return, an experienced chef will show you how to clean and prepare the catch. After that, you will be divded into small groups to cook an exquisite multi-course meal of the highest quality. Finish the day by enjoying the food you have caught and cooked yourself – an extraordinary experience and a memory for life. After Sea at Kallebrygga is the perfect end to an action-packed day of activities. Share your experiences with the rest of the group in an informal, relaxed environment. Kalle is a town with restored fishermen’s cabins (rorbuer) from the end of the 19th century and a pier with a number of function rooms. After Sea allows you to try a selection of locally produced ingredients, with the option of participating in the preparation. We have an extensive menu with suggestions, including roasting a whole pig or lamb or preparing your own fish dinner. Perhaps you have your own ideas of what you want to prepare? In any case, the chef will ensure that you leave full of both food and new impressions. 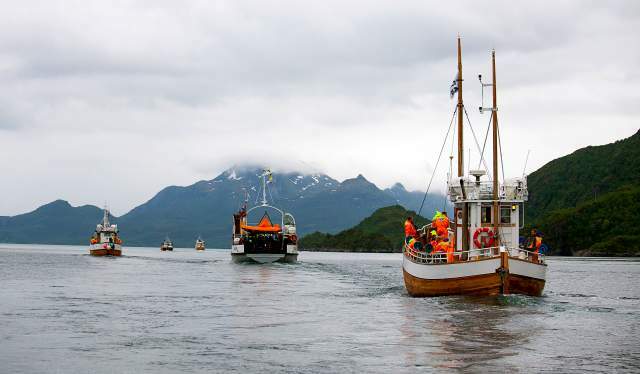 Lofoten Sjømat-Teater offers another authentic fishing, preparing and dining experience. This is an event where the guests play the main part in the traditional setting of the fishing village of Henningsvær. Part 1: Dressed in warm clothes and with fresh coffee on the gas stove, we embark on a trip to the Lofothavet Sea. Everyone takes part in the fishing with jiggling reels. Fishing nets and longlines have been placed out the day before, to try to ensure that dinner will be on the table in the evening. Part 2: After the fishing, we head back to the local fishing port of Henningsvær, which is the hub of the fishing industry in Lofoten. Local guides will tell you everything you may want to know about skrei (migrating cod), stockfish production and much more. Part 3: After a few eventful hours at sea and the fishing port, you will receive a warm welcome in the kitchen where our skilled chef Einar will create a special five-course meal from today’s catch. Lofoten Handmade Tour gives you the opportunity to participate in the production of a chosen handicraft in the fishing village of Henningsvær. This is an incentive with numerous possibilities: make your own caviar, try your hand at glassblowing or learn to cook traditional fishcakes according to an old, local recipe. Henningsvær Lysstøperi og Cafè, which is famous for their coffee and homemade buns, may be your base for the day and a local host will guide you through the day and make sure you get out as much as possible from your chosen experience. Experience a different cultural environment and learn a new skill that you can share with others.